– GB’s triple European sprint champion Dina Asher-Smith talking about how she won’t let her rise in media attention get in the way of her training. Would you marry a woman who couldn't conceive? Your Average Running Pace Over Entire Year To Date? How to Kenyans train in rainy days? Why does socialism seem to "work" in Nordic countries? Anna Rohrer, Elise Cranny - pro potential or disappointment??? Sunday: European 10,000m Champ Lonah Chemtai Salpeter Looking To Master The Marathon In Florence She’s set Israeli records from the 1,500m to the half marathon, but has struggled in at the marathon distance with only a 2:40 PR. She faces a slew of sub-2:30 women while 2:06 man Gilbert Kipruto Kirwa leads the men’s race with Dejene Debela (2:07:10). Sunday: Uganda’s Jacob Kiplimo Going For A Third Consecutive Victory At Alcobendas, Spain IAAF XC Permit Race He’ll face world U20 5,000m champ Edward Zakayo and Uganda’s Timothy Toroitich. Kenya’s Gloria Kite is the heavy favorite in the women’s race. 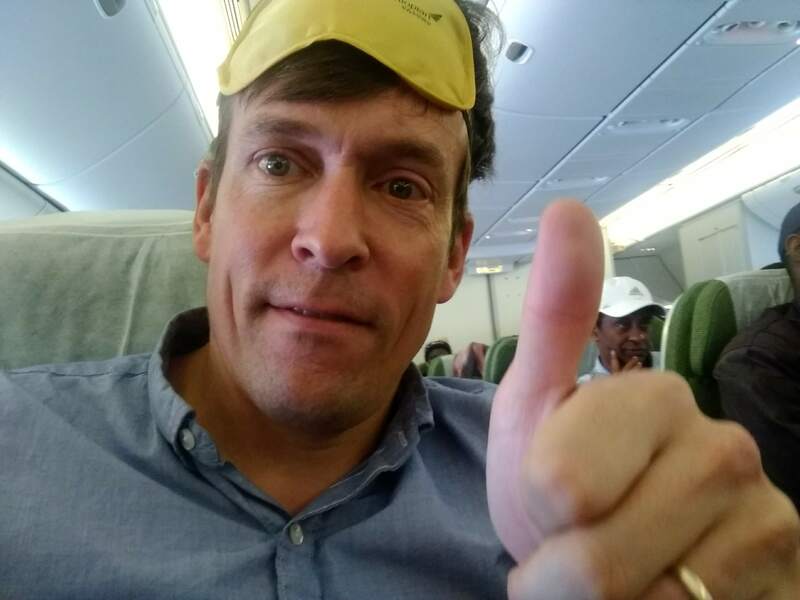 Cathal Dennehy Writes About His Experience Running The Same 10k That Wejo Ran Last Week In Ethiopia In case you missed Weldon’s race report, read it here. Night Of The 10,000m PBs In The UK Has Become A Real Celebration Of Our Sport, Says Its Race Director “All those years you used to run and you used to be a bit embarrassed that you were a middle-distance or long-distance runner because it wasn’t really that cool – I think it always has been cool but it’s how the event can present how cool it is. I think that’s what I’m proud of,” said Ben Pochee. DyeStat.com: 10 Girls Story Lines To Follow At CIF Cross-Country State Championships 2018 The Great Oak girls are looking for a 7th-straight title. DyeStat.com: 10 Boys Story Lines To Follow At CIF Cross-Country State Championships 2018 The biggest is Great Oaks is looking for a 5th-straight state title. New Memorial To Be Unveiled On Sunday To Honor The 6 Iowa State XC Team Members Who Were Kiilled Returning From NCAAs In 1985 A plane crash took the lives of 3 athletes, 2 coaches, 1 manager and a pilot from the runner-up team. Meet The Guy Who Trash Talks Jared Ward In Practice But Hasn’t Even Made The Olympic Trials Yet Micah Adams is hoping to make the Trials at CIM in December. 114 Men Break 65 Minutes At Insanely Deep Ageo City Half Marathon In Japan Vincent Laimoi won a hard-fought battle in 61:19 to beat out Ken Nakayama (61:32) while the the top 55 broke 64 minutes, the top 114 broke 65 and 249th place was 66:59. 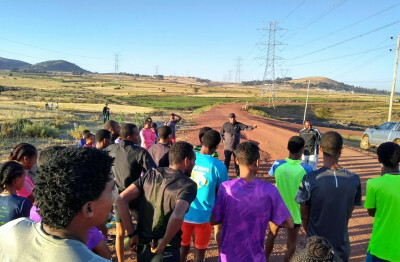 Volunteers Trying To Pass Chinese Runner He Yinli The National Flag Cost Her The Win At The Suzhou Taihu International Marathon One failed exchange and one awkward, disrupted her pace and breathing and she lost the final battle with Ethiopia’s Ayantu Abera Demissie. Read more and see the full video in our Week That Was. InsideTheGames: Tokyo 2020 Sports Director Reveals How AI And Robotics Could Play A Major Role At The Olympics Some examples of new technology included a security guard AI robot, facial recognition software and power assist suits for volunteers who lift weights all day at the weightlifting events. Thomas Bach Still Hoping To Further The Esports Discussion At Olympic Summit Meeting In December This article outlines the many problems with trying to include esports in the Olympics, including the fact that there is no physical element to it. IAAF Names Men’s Athlete Of The Year Finalists Eliud Kipchoge and his 2:01:39 will be hard to beat, but Christian Coleman, decathlon WR setter Kevin Mayer, Armand Duplantis and 400 hurdler Abderrahman Samba will try. Finalists Announced For IAAF Female Athlete Of The Year List has steeplechase WR holder Beatrice Chepkoech, GB sprinter Dina Asher-Smith, TJer Caterine Ibarguen, Bahamas sprinter Shaunae Miler-Uibo and heptathlon Olympic champ Nafissatou Thiam. Ethiopia’s Yebrgual Melese (2:20:37) And Abdiwak Tura (2:09:20) Make It Achieve An Ethiopian Double At The Shanghai Marathon It was a super-tight finish in the men’s race as Tsegaye Mekonnen finished second with the same time and Dickson Tuwei was only 1 second off in third. *MB: After 3 consecutive DNFs, former WR holder Dennis Kimetto has finished his first marathon since April 2016. Guess his time. 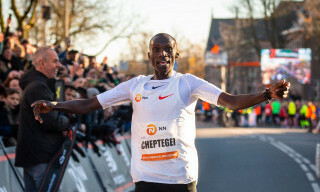 LRC Another Look At NCAA XC, Joshua Cheptegei Sets World Record On A Course Named “Seven Hills,” 2 Great Finishes In China This week had it all across the globe. The NCAA XC champs lived up to the hype in the snow in Madison, Joshua Cheptegei delivered in the Netherlands, and there were 2 great finishes in China. Andre De Grasse Says He’s Healthy: “I’ve recovered from my hamstring injury I’m 100 percent now.” But because of mono and two hamstring pulls, he hasn’t broken 10.00 since Rio. Healthy Again, Alonso Edwards Is Still Dreaming Big “I know I have what it takes to run 19.5-19.6. … I also want to become the first South American athlete to break the 10-second barrier and I know it is only a matter of time,” says the 28-year-old, who won 2009 WC silver at age 19. His 19.81 PR dates from 2009 but he did run 19.90 this year. NCAA Indoor Track & Field Will Be Starting Soon: TFN Rates Georgia’s Incoming Class As #1 Oregon doesn’t even crack the top 10. Cynthia Jerop (2:39:16) And Jackson Kemboi (2:20:27) Win Kaas Marathon In Kenya Former half marathon WR holder Peres Jepchirchir made her marathon debut in 3rd (2:46:15) in her comeback from pregnancy. Peres Jepchirchir Wants To Reclaim Her World Half Marathon Record Jepchirchir only held the record for a month at 65:06 before Joyciline Jepkosgei broke it. Olympic Steeplechase Champ Conseslus Kipruto Wants To Run World XC On the steeplechase, Kipruto says that he wants to try to challenge the WR in 2019 or at least break the 8-minute barrier (his PR is 8:00.12). Did The IAAF “Snub” Caster Semenya In Their Female Athlete Of The Year Award? That’s the headline from South Africa anyway. GB Sprinter Nigel Levine Gets 4-Year Doping Ban Levine was one of the sprinters hoping to make ea comeback after getting in a motorcycle crash. *Reuters Article Levine claims that he took a contaminated supplement, but UK Anti-Doping noted that on his doping control form Levine answered “none” for that question. WADA President Craig Reedie Says He’s Confident Russia Will Meet The End-Of-The-Year Deadline To Hand Over Data From The Moscow Lab Reedie said, “I find it very hard to believe that the guarantees made to us by the Russian authorities – that they won’t deliver.” Right, because Russia has an excellent track record of cooperating. Seven Russians Get 4-Year Doping Bans Included four track athletes. WADA Forming Expert Group To Work At Moscow Lab Russia has been told they need to allow access by December 31st or their ban will be reimposed. T&F News: Dani Jones And The Colorado Mindset Jones said despite being from Arizona, she was happy with the cold/snowy conditions as she’s been in Colorado for 3 years. MileSplit: NCAA DI Champs By The Numbers Grant Fisher‘s 2nd place finish gave Stanford an unfortunate stat. They now have five runner-up finishes without getting an individual champion. MB: New Provisional IAAF World Rankings Are Up These are provisional rankings with the official ones coming in January. 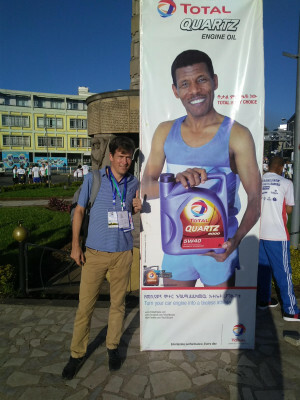 In the future they will be used to qualify athletes for Worlds, but won’t be used in 2019. Jumps: Indiana Triple Jumper Arpinder Singh Tells How His Father Mortgaged The Family Land To Fund Singh’s Athletics Dreams Then when Singh won bronze at the 2014 Commonwealth Games he was able to pay off his father’s investment. 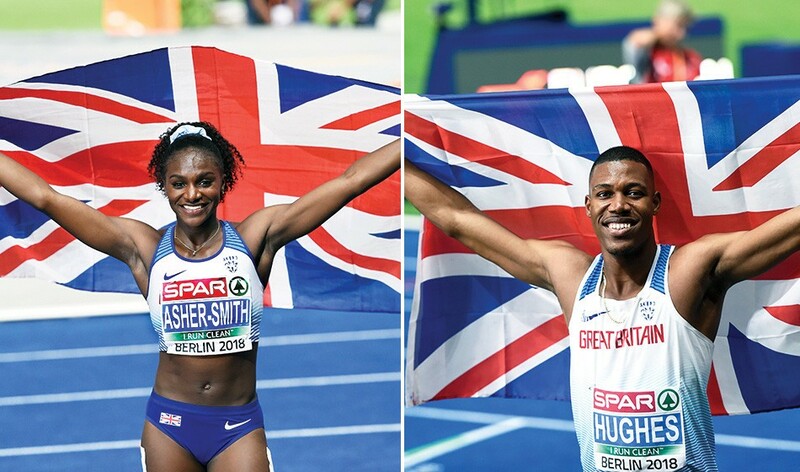 Scottish Athletics Is Considering Breaking Away From Great Britain At European Events They already do this at the Commonwealth Games, but at everything else compete for GB. Seb Coe Hails Laura Muir’s “Mental Strength” After 2018 Glory Coe was full of praise for Muir, whom the IAAF ranked the top 1,500 woman in the world this year for winning Euro gold and the Diamond League final. Mo Farah To Run The 2019 London Marathon Farah won in Chicago, but a win in London would be at another level. Michael Johnson Says He’s Nearly “Back To Normal” After Suffering A Stroke In September Two days after his stroke, Johnson couldn’t walk and it took the former WR holder 15 minutes to cover 200m. GB’s Steph Twell Says She Was Inspired To Make Her Marathon Debut By Callum Hawkins And Aly Dixon Hawkins has had a lot of success since stepping up with a 2:10:17 PR and finishing 9th at the Olympics, 4th at Worlds. 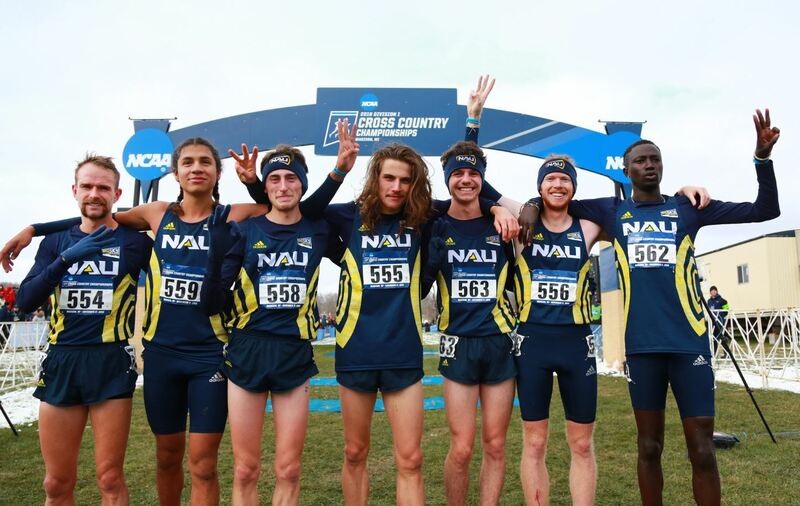 Men LRC Morgan McDonald Gets His Storybook Ending As NAU Men 3-Peat At 2018 NCAA XC Champs McDonald redshirted last year to do what he did today: win the 2018 NCAA title on his home course. NAU became the first team to three-peat since Arkansas from 1998-2000. 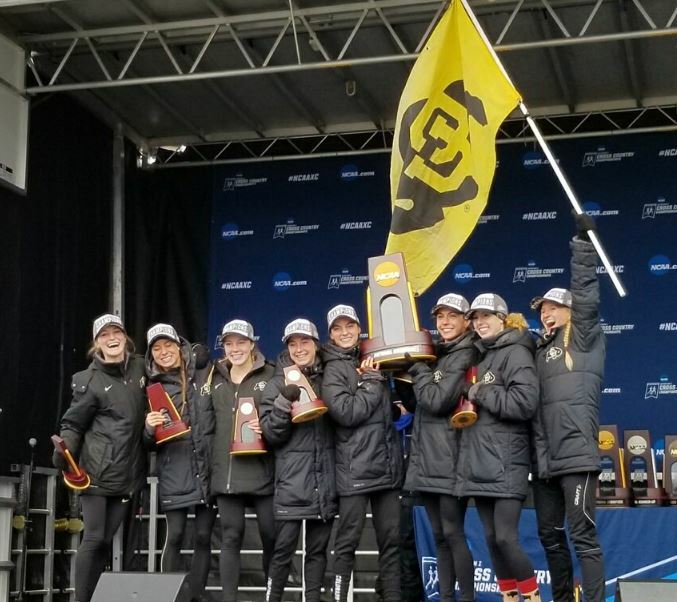 Women LRC MAGS-NIFICENT: Dani Jones Leads Colorado Women To Dominant Win At 2018 NCAA Cross-Country Championships The Colorado women hadn’t been on top of the winner’s circle at the NCAA XC champs in 14 years but their drought was broken in style on Saturday as they won both the team and individual titles. Can the 2019 Lumberjacks 4-peat? Who will win the women’s team title at 2018 NCAA XC – UNM, Oregon, Colorado, Boise State, or Arkansas?